Healthy Diet. 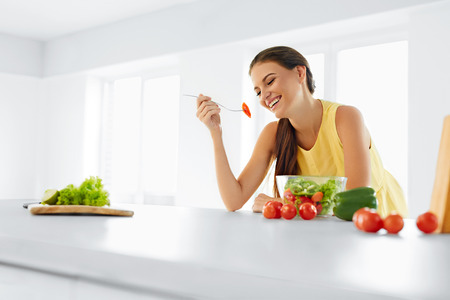 Beautiful Smiling Woman Eating Fresh Organic Vegetarian Salad In Modern Kitchen. Healthy Eating, Food And Lifestyle Concept. Health, Beauty, Dieting Concept. Description: Healthy Diet. Beautiful Smiling Woman Eating Fresh Organic Vegetarian Salad In Modern Kitchen. Healthy Eating, Food And Lifestyle Concept. Health, Beauty, Dieting Concept.